Jean-Claude Juncker will announce the extra funding as part of a drive to reunite Europe in the aftermath of Britain’s shock decision to leave the European Union in a referendum last June. The €200 billion will come on top of the €315 billion already made available under the European Fund for Strategic Investment (EFSI), also dubbed the “Juncker Plan”. Juncker will take the floor in the European Parliament in Strasbourg for his State of the Union address at 09.00 am local time. There, he will call on EU member countries and institutions to progress on areas “where we can reunite,” an EU official told euractiv.com. To that end, he is expected to announce a €200 billion increase for the existing €315 billion investment plan and two additional years for the disbursements, until 2020. Although Juncker’s “positive agenda” to reunite Europe comes in response to the Brexit referendum, the Commission President is not expected to speak about Britain’s departure from the EU in his hour-long speech in Parliament. Senior EU officials tried to play down the importance of Brexit, saying it is not such a “decisive playing factor”, although they admitted it was a “wake-up call”. The same official sources also doubted that the UK’s exit from the bloc would happen under this Commission, whose mandate expires in November 2019. It will be a “long, cumbersome process”, the officials said on condition of anonymity. Various sources consulted on the eve of the speech explained that the additional money announced today will aim to support energy and digital sectors, which were identified as priority areas by the Juncker team. The transition towards a greener energy system has become a flagship goal after the UN climate change conference (COP21), held in Paris last December, reached an agreement to limit global warming to 2C. To help achieve this goal, the Commission will use an existing financial instrument under the European Investment Bank (EIB) to pour additional money as a guarantee to increase the funding for energy projects. The current EFSI scheme relies on €16 billion in guarantees backed by EU funds to mobilise €315 billion mainly from private sector investors until 2018. The fresh funding that will be announced today intends to support infrastructures and interconnection projects, energy efficiency, and renewable energy (the so-called energy transition). According to one official, the reinforced Juncker Plan intends to implement the COP21 agreement, to complete the energy transition. But another EU source noted that projects related to the digital field would also be key over the next four years. In this regard, another senior EU official commented that Juncker would highlight the importance of progressing toward the completion of the Digital Single Market (DSM), one of the flagship projects of the current Commission. In this context, Juncker will highlight the need to invest in fiber networks, roll out the next generation of internet mobile networks (5G), and modernise EU copyright legislation. 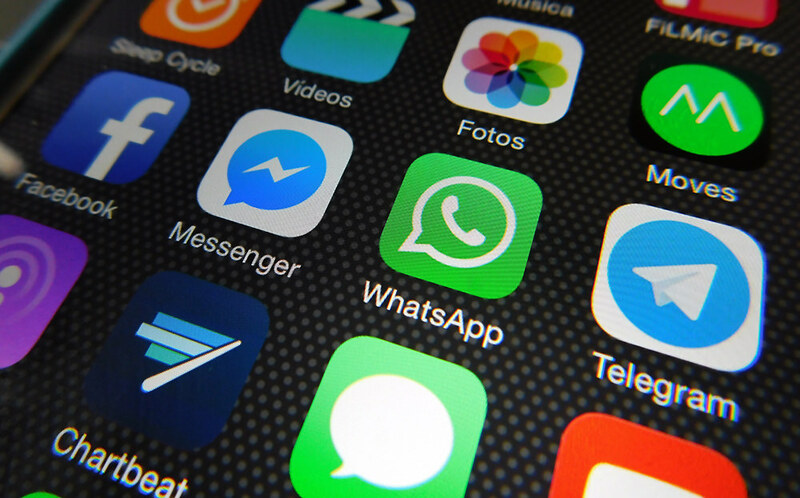 More detailed plans regarding the reform of telecoms rules will be announced later in the day by the two EU Commissioners in charge of digital matters, Günther Oettinger and Andrus Ansip. Meanwhile, the executive will also announce a new European External Investment Plan to support investment in Africa and neighbouring countries. This new instrument will mobilise up to €44 billion of investments, thanks to the support of the EU budget and the European Development Fund (EDF). The EU executive expects that, if national governments and other partners match these contributions, the total amount could reach €88 billion. Another priority area is defence. With the terrorist threat at an all-time high and growing tensions in the Eastern European neighbourhood, Juncker will propose a series of initiatives to forge a European defense system independent from the transatlantic treaty alliance, NATO. 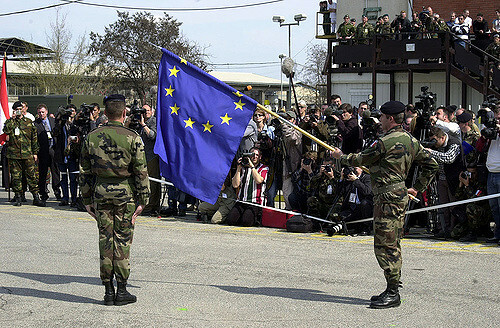 Accordingly, the Commission President is expected to call for a unified command for joint EU operations and the deployment of EU battlegroups. Juncker will also call for joint purchases of military equipment and vehicles. According to initial estimates, member states could save between €25 billion and €100 billion per year thanks to joint procurements. The defence proposals are all broadly in line with a Franco-German plan to relaunch the EU in the aftermath of the Brexit vote. But Juncker’s plea to deepen the economic and monetary union will hardly find traction in Berlin. As foreseen in the EU’s roadmap for economic and fiscal integration―the so-called Five Presidents’ report―the Commission will present next spring a white paper on far-reaching reforms to complete Europe’s economic integration. Chief among them is the idea of creating a “fiscal capacity” ―or separate budget― to cope with unexpected economic shocks in the Eurozone. The Eurozone budget could also be used as a fiscal stimulus either to support investment projects or to reinforce national unemployment schemes in times of major recession. Although the idea is appealing to most, negotiations on a Eurozone budget are not expected to come through until after the French and German election. European lawmakers are trying to push ahead with plans for a eurozone budget. A consensus in the European Parliament could finally unblock the political debate. EURACTIV France reports. The measures mentioned in the article are highly welcome! €200 billion additional investment towards creating a digital single market and energy integration, particularly measures relating to the COP21 agreement are highly effective measures that should promote greater European unity. The additional €44 billion (potentially €88 billion) to African development is prudent. More will be needed. Africa represents both the greatest opportunity and greatest threat to Europe. Growing economically at the expected 6% per annum Africa could become not only the most populous continent, but also with the largest GDP by 2050. 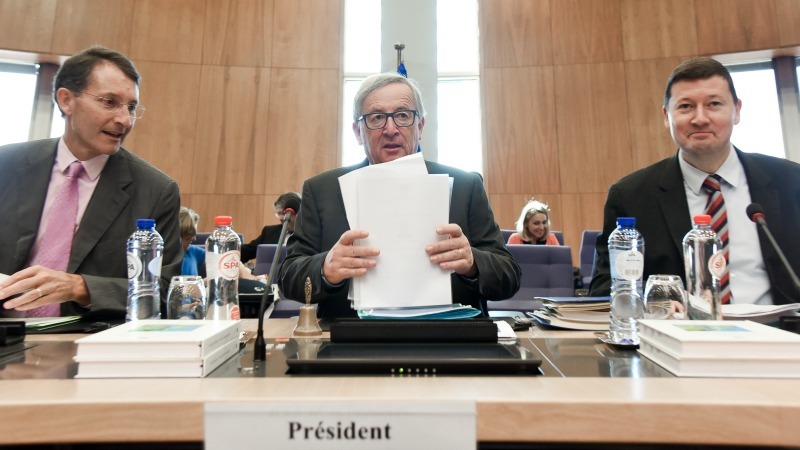 President Juncker speaks of the existential threats to the survival of the E.U. What does not appear in this article, but perhaps will be in the speech itself, is a bold, unifying project that raises the global profile of the E.U. as well as builds capacity and creates jobs in every member state. When the U.S. faced existential threats in the early 1960s president Kennedy proposed “We choose to go to the Moon! … We choose to go to the Moon in this decade and do the other things, not because they are easy, but because they are hard; because that goal will serve to organize and measure the best of our energies and skills, because that challenge is one that we are willing to accept, one we are unwilling to postpone, and one we intend to win …”. Europe’s space agency has proposed the Moon Village as a successor to the International Space Station built under U.S. leadership and primarily with U.S. investment. In the 1960s and until recently all investment in space beyond Earth orbit came from governments. Now, numerous firms are emerging to mine the Moon and asteroids and to build power stations in space to provide energy without CO2. Luxembourg has already taken the lead in investing $227 million in asteroid mining. But there are opportunities for every member state in space. The space economy already exceeds $440 billions. By 2030 the space economy could be $2 trillion plus and generate hundreds of thousands of high value jobs. Europe has the potential to become the global leader in the opening of the space frontier. Luxembourg points the way. If the EU chose to lead and to develop industrial operations on the Moon and in cislunar space it has the capacity like no one else to engage other partners. The E.U. is a union of sovereign states. Its Horizon 2020 research funding program can involve partners from any country on the planet. No one else is equipped to do so. The E.U. can work with both the U.S. and with China. U.S. law prevents NASA from collaborating with China. It is time for the E.U. to have a Moon shot, a grand project that can unify the continent in building a better future for all humankind. Interesting, what type of infrastructure? The type that produces jobs…..? Or corporate welfare…. ?